Every sport has its great rivalries. Those match ups that raise the pulse and stir the passions. Of course everyone knows about Ali and Frazier, Celtics and Lakers, Real Madrid and Barcelona, Sampras and Agassi. But how about Love and Workman? The two future Hall of Famers both come from The Empire State. “The Schenectady Express” Alex Workman takes his nickname from his home city, which sits around 165 miles north from the famous Big Apple, home to Sproule “The Ghost” Love. The lean, rangy and relaxed figure of The Ghost, with his libertine locks and effortless cool stands in contrast to the impressively muscled physique of The Express, with his closely cropped hair, steely focus and scientific approach. Two different paths, but they are both on the journey to greatness. 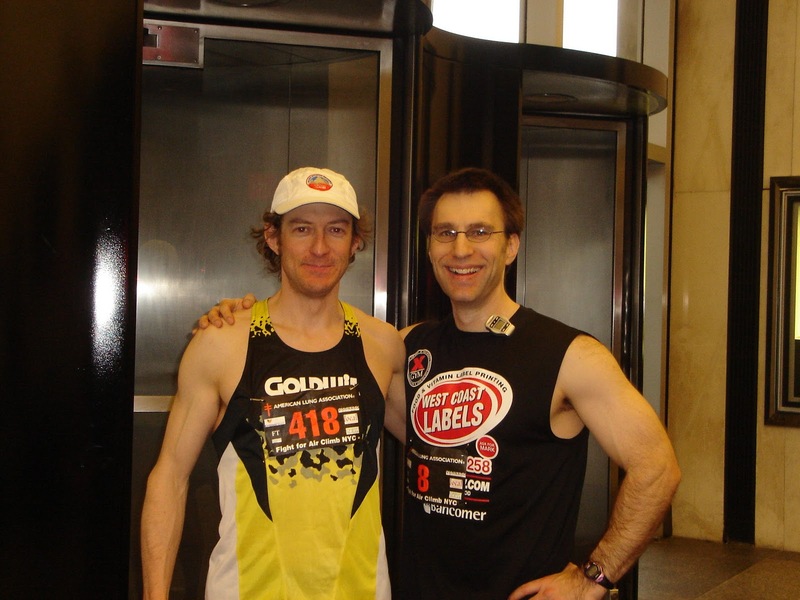 For a number of years now, these two giants of the stair climbing world have clashed at races around the United States. 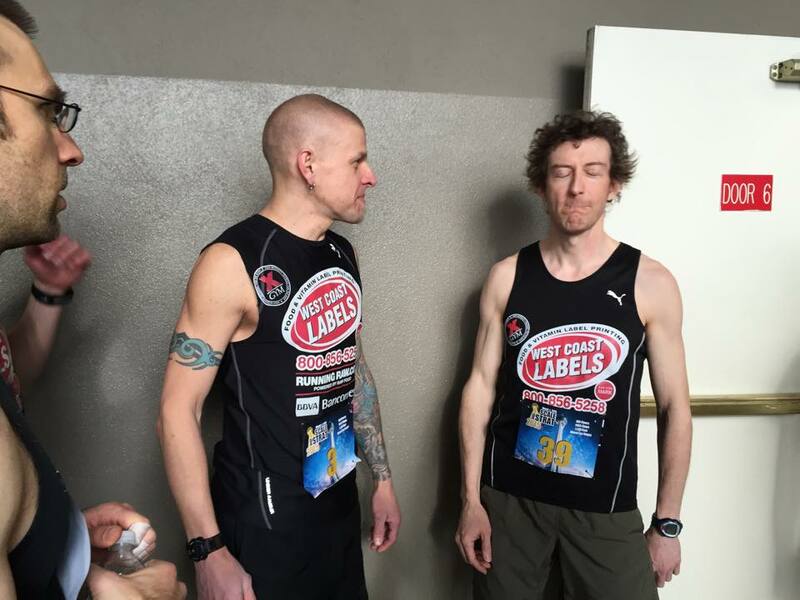 Prior to the race in Hartford, CT last Saturday, the pair’s most recent clash was at the USA Stair Climbing championships at the Stratosphere in Las Vegas. It was Love who took the honors that day. Sproule Love (r) works hard to avoid Workman’s (l) famed ‘Fatigue Inducing Stare’ at the start line of the 2015 Scale the Strat, while John Osborn (center) wills him on. It is just over three years since the pair first met at the popular NYC race at One Penn Plaza. By this point Sproule Love’s reputation in the stair running world was well established. He had podium finishes at ESBRU, a course record at Sears/Willis Tower and a spread of other victories from events across the USA. In contrast, Workman was a relative newcomer to the sport, with less than a year of racing to his name. While he had already established a reputation with a win at the John Hancock Tower in Boston, he was still some way off from the force he would soon become. Workman describes that meeting on his blog here. He was second that day at Penn Plaza, and he would be second again a few months later in 2012 when the two met again for their first clash in Hartford. The Ghost set a course record at that race, scaling the 38 floors of City Place 1 in a time of 3:07. Workman held off strong challenges from fellow East Coast titans Tim Donahue and David Tromp to take the silver in 3:20. “The Schenectady Express” had arrived! The foundations for a brilliant rivalry were now firmly set, and those foundations would be built upon in several races over the next three years. The following year, 2013, the pair would face off again in Hartford. Once more The Ghost showed his power, taking the win in 3:16. Workman finished third that year, with Sproule’s sometime training partner, and East Coast powerhouse, Tim “Boulders for Shoulders” Donahue taking second. 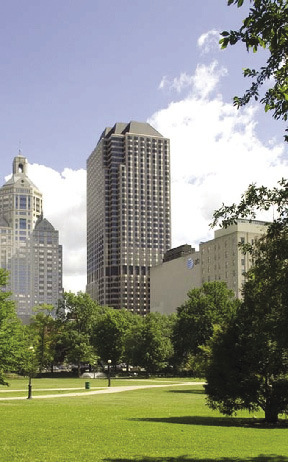 In 2014, Workman finally took the win in Hartford. However, both Love and Donahue were missing that day. This surely rankled the highly competitive Workman, who would have felt his victory lessened slightly with the absence of his most well known adversaries. Saturday 25 April 2015. Climbers gathered at City Place 1, for the 8th Fight For Air Climb, Hartford. At the start line were Love, Workman and the most recent addition to the brilliant NY vs. MA rivalry, Adam “The Great Artiste” Cellemme. The Artiste had pushed Workman hard in Boston earlier in the year, before going on to take a number of victories at events in New England, often clashing with “The Beast from the East” Stephen Marsalese. He would certainly be in the mix. Surely buoyed by a strong showing at the World Championship in Doha, Workman finally turned a corner and powered through the course in 3:17, setting a new PR by 3 seconds!! Victory was his!! The Ghost was just behind, in 3:19, a time which would have earned him first place in probably every single previous Hartford race. But this was to be Workman’s day. It must be a fantastic feeling for the The Express to finally get victory over Sproule Love, who has stood between him and ultimate glory on numerous occasions. Their rivalry is great for our sport. They are both brilliant ambassadors for everything stair running is about. Congratulations Alex on your win, but stay vigilant and train hard, because The Ghost is always there.